The Securities and Exchange Commission (SEC) has ordered Bitcoin Investment Trust (BIT) and an authorized participant, SecondMarket, to cease and desist violating securities law. The commission has levied a fine against SecondMarket. The companies have agreed to the cease and desist order, according to an SEC administrative proceeding. The SEC has required SecondMarket to pay disgorgement of $51,650.11 and prejudgment interest of $2,105.68 (a total $53,755.79). 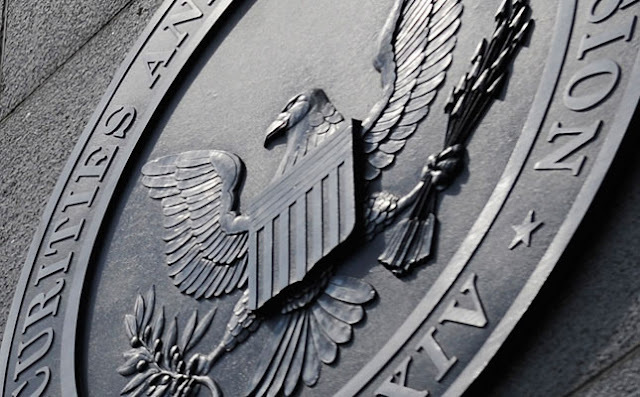 The proceeding noted that securities regulation prohibits any “affiliated purchasers” and “distribution participant” from purchasing, or attempting to induce any person to purchase any covered security during a restricted period in connection with a distribution of securities. On March 25, 2015, BIT shares were quoted on the OTC Market Group Inc. marketplace, the proceeding noted. BIT has not been registered with the SEC, nor has it registered offerings with the SEC, the proceeding stated. Grayscale Investments, LLC, BIT’s sponsor, is a wholly-owned subsidiary of Digital Currency Group, Inc. (DCG) and a SecondMarket affiliate. DCG, a broker-dealer registered with the commission, is BIT’s sole authorized participant, and the only entity that can place orders to create and redeem BIT shares, the proceeding noted. A SecondMarket affiliate capitalized by BIT contributed 17,800 bitcoins valued at $2.25 million at the time to BIT in exchange for 17,800 shares on Sept. 13, 2013. BIT also offered shares to accredited investors on a continuous basis. BIT provided prospective investors a presentation to promote investment in BIT. SecondMarket had a Facebook account that announced BIT’s launch on Sept. 25 and 26, 2013. BIT also received coverage on national news outlets. BIT shares bought by anyone besides an authorized participant carried limited liquidity. Liquidity was limited since neither BIT nor its share offering was registered at the time. There was no public trading market for BIT shares. BIT nonetheless planned to offer liquidity for shares that were held under one year via an undetermined mechanism. The investor deck said liquidity for shares was to begin no later than March 2014. SecondMarket received shareholder requests for liquidity beginning in November of 2013. BIT told shareholders on March 19, 2014 it would begin a shareholder redemption program for shares redeemed within a year of purchase. While shareholders could seek redemptions, SecondMarket maintained sole discretion to set the number of shareholders’ shares to be redeemed per month. BIT told shareholders at the same time that it applied to qualify BIT shares held for at least one year for public trading on OTCQX (OTC Markets). It expected the share to qualify for public trading in the fourth quarter of 2014. The SEC notified SecondMarket in September 2014 there were possible violations with the shareholder redemption program. BIT told shareholders on Oct. 28, 2014 it suspended the program. During the period April 2, 2014 to Sept. 4, 2014, SecondMarket bought 85,721 BIT shares during the restricted period in violation of securities law. During the period Nov. 4, 2013 to Sept. 4, 2014, BIT bought 6,479 shares from SecondMarket during the restricted period, also in violation of the regulation. As of April 29, 2016, BIT had 1,557,300 shares outstanding, the order noted.